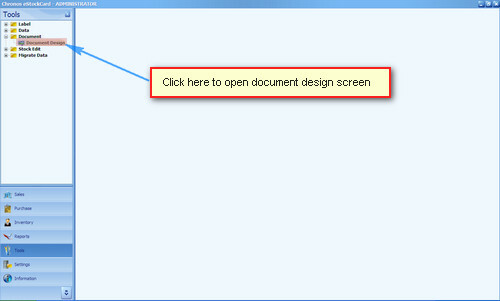 Step 1 Go to Tools -> Document -> Document Design ( Fig 1 ). 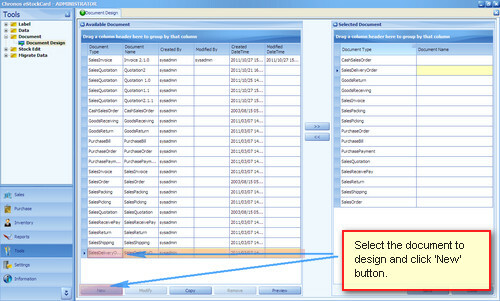 Step 3 Highlight the Delivery Order at the Available Document column and then click on New button ( Fig 3 ). 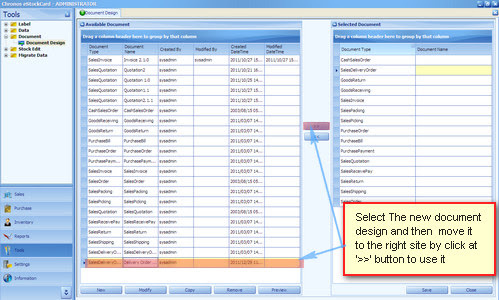 Step 4 The Design Report screen for the Delivery Order will appear (Fig 4 ). 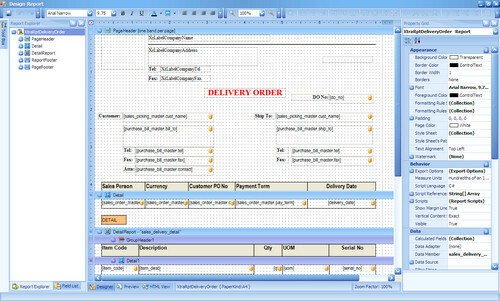 Step 5 Then design the Delivery Order as per your required format. 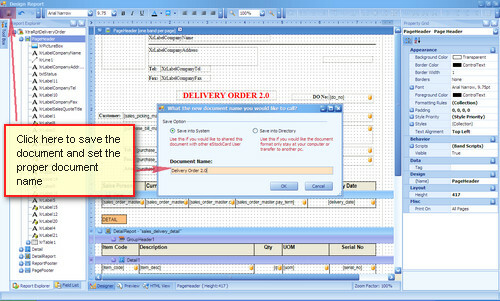 Step 6 Once finish, just click on the Save button (top left) and then enter the Delivery Order new document name ( Fig 5 ). Step 7 This new Delivery Order will appear at the Available Document column. 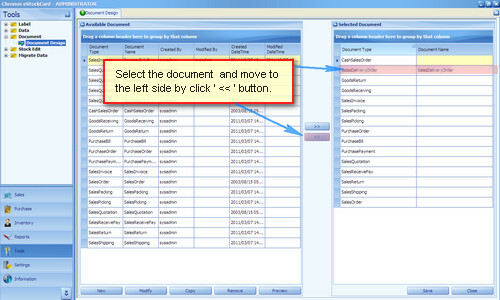 Step 8 To use this Delivery Order, just move it to the Selected Document column and Save it( Fig 6 ). For the rest of the documents in the eStockCard Warehouse System, just follow the step from 1 – 8. I’m using eStockCard warehouse system Network Version. After changing my computer name, why I unable to connect to eStockCard server again?